Into rotation comes one of my simpler pens - the M205 Toledo Red is a good looking with silver trim and a bright red-orange body. No longer made by Pelikan this pen always makes me feel happy. 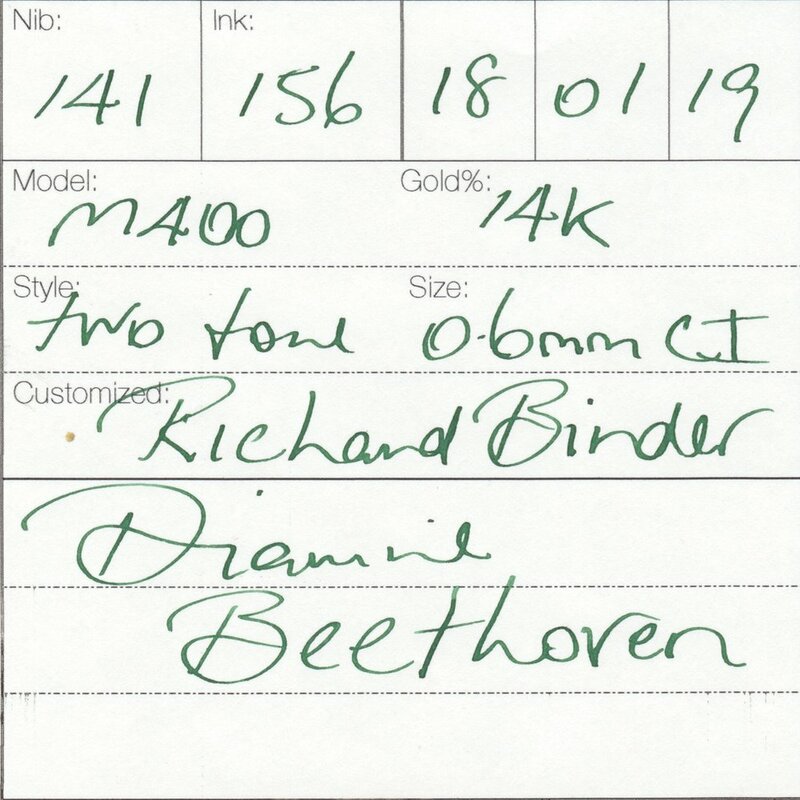 My most recent Richard Binder custom grind, the M400 14K 0.6mm Cursive italic has only been on my collection for 11 months. It is on the crisper side of cursive and is a great little nib. I am still working my way through the Diamine music inks, this one being the lovely forest green that is the Beethoven, maybe it is a pastoral green rather than forest. The nib makes this ink look very good with plenty of shading.